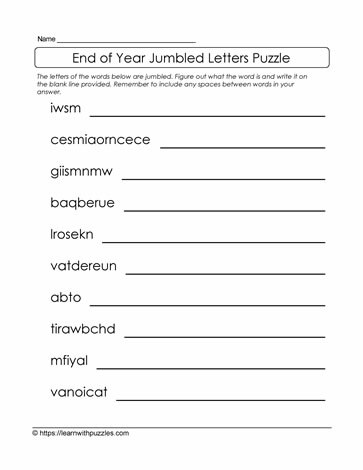 Here is an end of school year jumbled letters puzzle that is sure to excite kids as they approach the summer holidays. There are no clues, so kids need to use their knowledge of end of school year vocabulary, including activities they like to do during the summer, knowledge of word structure, and letter patterns to help unscramble the words. Can complete the activity individually or in pairs.